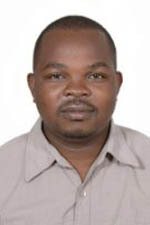 Samuel Kilonzo Mutiga is a postdoctoral research associate on the BBSRC funded ‘Durable rice blast resistance for Africa’ project. Mutiga is involved in genotypic and phenotypic characterization of the rice blast pathogen populations from the US and from several African countries with his time shared between the BecA-ILRI Hub and the Correll lab at the University of Arkansas, Fayetteville, US. His responsibilities include the establishment of a repository of the rice blast pathogens at the BecA-ILRI Hub along with a database that will include genotypic and phenotypic data on the isolates deposited. In addition, Mutiga is conducting research on various aspects of the gene diversity on the pathogen. Mutiga recently completed his PhD in Plant Pathology from Cornell University focusing on the genetic and environmental basis of mycotoxin accumulation in maize under the mentorship of Rebecca J. Nelson.